Holly's teaching and therapy is grounded in a four decades in education, psychology, hypnotherapy and metaphysics. She teaches with an engaging expertise, ease and competence that builds professional skill and confidence in her students. Holly integrates a psychospiritual perspective in her teaching, models client empowerment and practices hypnotherapy as an art. In the last fifteen years she began studying and adding hands on healing and energy therapies to her work including Reiki and EFT. Holly is an examiner and a founding member on the Board of Directors for the International Board of Regression Therapy. She was awarded her Doctorate in Ministry degree in 2007. Holly's dissertation on Hypnotherapy as a Spiritual Practice evolved into her hypnotherapy textbookSpiritual Hypnotherapy Scripts for Body, Mind and Spirit. It is available at HCH or through Amazon books. As husband and partner to Holly, Paul brings thirty years experience as a business owner into the job of running the HCH office and attending to all of the creative work at HCH: managing the web site, producing and recording hypnotherapy CDs and teaching recording and website building workshops to hypnotherapists. Paul also owns his own music company, Peaceful Music, through which he composes and records original keyboard, harp and Native American flute music. As a metaphysician and hypnotherapist Paul adds a special dimension to connecting with students and clients who come to the Institute. Paul will most likely be your first contact either by phone, email or in person. He looks forward to introducing you to HCH. After receiving his Ph.D. from UC Berkeley, Greg was a geology professor for many years, with more than 60 scientific research publications. He has long had interests in human behavior, how reality is affected by beliefs, the true nature of reality as revealed by quantum physics, and enlightenment. Workshops in shamanism, including advanced training with Michael Harner and Alberto Villoldo, revealed the nature of non-ordinary reality experienced during the shamanic state of consciousness. Recognizing a link between shamanic journeys and hypnosis, Greg decided to attend HCH, which has a tradition of incorporating aspects of shamanism into hypnotherapy training. Now he is continuing that tradition by teaching at HCH. Susan Lyons is a Certified Clinical Hypnotherapist and Reiki Master. Throughout her life she has always been in some kind of a “helping profession”. Several years ago Susan found herself at an impasse. She felt she had so much more to offer the world and on a much deeper level. For Susan, Hypnotherapy and the HCH Institute has been a blessing both personally and professionally. Hypnotherapy has opened up a whole new beautiful world to her and dramatically changed her perception on life. Susan graduated from the HCH Institute in Lafayette, Ca. She also completed a 6 month long internship and advanced training in Past Life Regression. In addition to being Certified Hypnotherapist she is also a Reiki Master. Susan has witnessed profound and heartfelt transformations in her clients which has confirmed her belief that Hypnotherapy is an excellent empowerment model. She is dedicated to working with her clients so that they may break free from their limitations and discover their true self! She began her studies of the healing arts after she attended a Reiki clinic at HCH about 8 years ago upon experiencing a sudden shift in her consciousness while receiving Reiki. Tamara has a healing practice (Moonlit Soul Healing) based in Oakland, California, drawing on all the various modalities she has studied to help empower and strengthen her clients’ sense of self and connection to source energy. Prior to her healing studies, Tamara studied biology and worked as a molecular biologist in NJ and attended law school here in California. She has also worked as a human rights activist and a pre-school volunteer teacher for several non-profit organizations in the Bay Area. She considers learning a life time passion and is currently studying to become a Qigong teacher under the guidance of Qigong Master Mingtong Gu. She lives with her husband and daughter in Oakland, CA. Carolyn was trained in the field of nursing but realized nursing wasn't for her. Not wanting to abandon her love of medicine, she parlayed her medical training into a career as a Medical Research Assistant at the Mason Research Institute in Worcester Mass, then the Wistar Institute at the University of Pennsylvania Medical School, for a total of twenty-five years. After a serious illness in 2002, she was introduced to Bio-feedback, which became the bridge to hypnotherapy and EFT. She earned her Clinical Certification in Hypnotherapy from HCH in February 2006. She became a devotee of EFT during a hypnotherapy class after her instructor applied EFT on her to avert a migraine. The results were amazing and she was hooked. In 2008 she earned her Stop Smoking Certificate and Past Life Therapy Certificate through HMI in Tarzana, CA. Carolyn teaches several modules within the HCH's Hypnotherapy Course. Outside of the Hypnotherapy Course, she teaches Deep Hypnosis, as well as EFT and other Meridian Tapping procedures, beginning and advanced. She has a private Hypnotherapy practice in Lafayette and Martinez. Annie Blackstone was first certified as a hypnotherapist in 1992 at Harbin Hot Springs with teacher Sarah Stewart. Annie practiced, hypnotherapy, past life regression, jin shin do acupressure and message in Oakland for 8 years before taking a break to raise her 5 children and found a nonprofit, Sionfonds for Haiti. During this time she became a parent educator for people parenting traumatized children and an adoption advocate. Now she has returned to her calling as a hypnotherapist and energy worker, to assist those on the healing path to find their way. Annie is a clinical hypnotherapist and a Reiki master teacher. In her practice she also utilizes and received advanced training in Biofield tuning, EFT, Past Life Regression, Spirit Releasement Therapy, Sand play therapy, Timeline therapy and Shamanic practices. Annie has her own practice at HCH and is available for private sessions. Robin has been working and teaching in the health and wellness field for over 30 years. Her experience has been in clinical as well as alternative healing modalities. When Robin first experienced hypnotherapy she realized that it was a field that had such deep potential for transformational healing, physically, emotionally and spiritually. Robin graduated from HCH and went on to complete the six month internship. She also completed advanced trainings in Past Life Regression Therapy, EFT and Spirit Releasement Therapy. Robin continues to be honored and inspired by the transformational work of her clients. 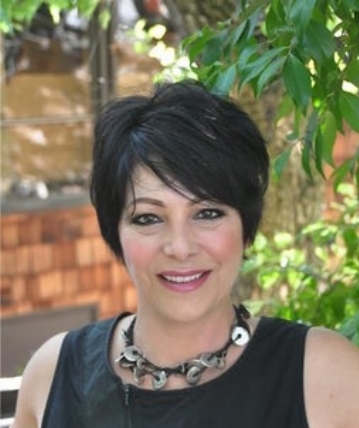 She has a private practice in the East Bay and in Redwood City California. MA in Counseling Psychology. Licensed Marriage and Family Therapist. Certified Hypnotherapist. EMDR Trained Therapist. David combines solid clinical experience, detailed theoretical knowledge and a very human approach to teaching. By encouraging the class to explore their experiences within new frameworks, he helps to broaden their knowledge and deepen their understanding of both the class materials and themselves. David is particularly interested in trauma work, neuropsychology, and is passionate about helping people move past the deep, often unconscious, issues that block their growth. David is a skilled and gifted clinician, successfully working with issues of trauma, life changes, grief, gender and sexuality issues, as well as what has been called issues of self. He integrates a wide variety of techniques and modalities in the service of helping his clients heal.